Hava Aney Dey is screened at a special screening at the Cambridge Film festival during the Globalisation of Indian Cinema: Opportunities for the West conference. 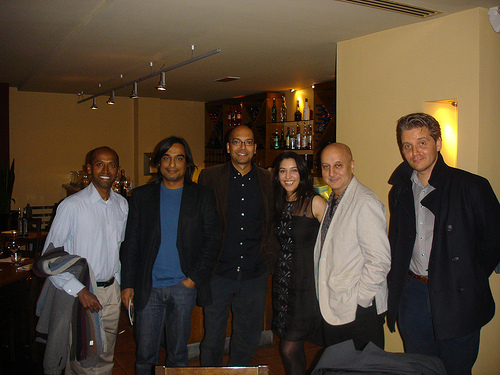 The Centre for India & Global Business was proud to partner with Screen East and the North Sea Partnership, Blood Orange Media and the Cambridge Film Festival to host an event that explored global knowledge networks in the world of cinema, with a focus on engagement between India’s film industry with global players. Indian films have always enjoyed a large global audience, but it is only recently that the Indian movie industry has begun to engage the Western film sector and vice versa. Examples of this growing transnational collaboration include India-based Reliance Entertainment’s $1 billion plan to co-develop and co-produce movies with Hollywood heavy hitters – and of course the Oscar winning success of Slumdog Millionaire, produced and directed by British talent. In addition, a host of independent producers and directors from India, US, and Europe are catalysing the growth of these transnational creative networks. Hosted by the Centre for India & Global Business (CIGB) at Judge Business School at the University of Cambridge, the Grand Partner for this event was Screen East and the North Sea Screen Partnership. Other partners included Blood Orange Media and the Cambridge Film Trust. This unique event explored how the Indian film industry is going global (i.e. its trajectory), its various engagement models with Western players, and the resulting opportunities for the international cinema industry.